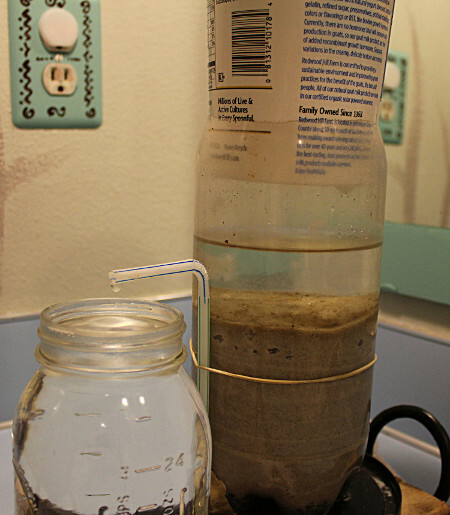 This is a 2 liter countertop slow sand filter. It filters out iron, and particulate matter from the well water we use here. This is another view of the small slow sand filter. Notice the “schmutzdecke” on the top of the .15 mm effective size sand. This is the filter in action. 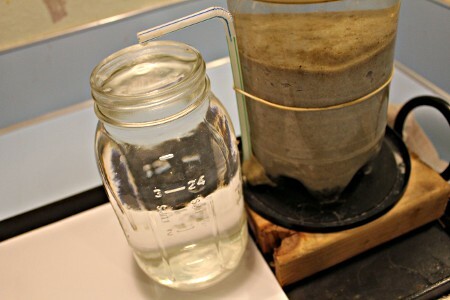 It removes iron, and particulate matter from the well water. This is a good little set up, but usually well water is normally pretty good, especially compared to city water, as it doesn’t have half as many chemicals in the water, nor is it doused with chlorine. 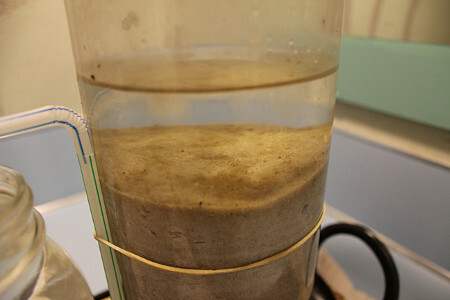 But, if you do not treat your water, this will not remove the bacteria, and something should be done to ensure this is removed from the water.